Over the years there have been some great performers at the Super Bowl. Chubby Checker in 1988, Blues Brothers, James Brown, and ZZ Top in 1997, and The Stones in 2006. There have also been a few not so good choices. Remember Justin Timberlake and Janet Jackson in 2004 or Beyonce in 2003? This is your chance to be a part of something awesome and help make a memorable Half-Time Show at the next Super Bowl. Online there is a petition for Weird Al to headline Super Bowl XLIX! I for one think this would be awesome! So do your duty today and sign the petition. Granted - just signing the petition means nothing and the organizers will pick whoever they want. But we need to at least let them know that this is what the people want! Otherwise we may get stuck with a band like One Direction or Justin Beiber - you don't want that to happen do you? If you don't like Weird Al - who do you think would be a good half-time show performer? Leave us a comment below. You can read and sign the petition at Change.org. Legendary musician Weird Al Yankovic has been the king of parody songs and he puts on a great show (even better if some of the artists he has parodied performed with him). At last check the petition was at just over 47,000 signatures, and needs 50,000 to be recognized. 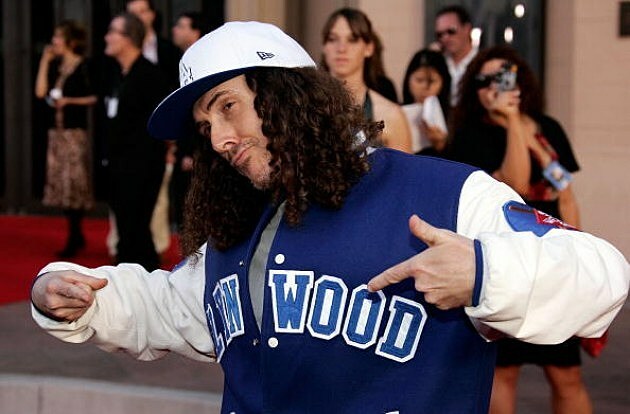 Weird Al for Super Bowl XLIX!